July 22, 2010 - Rolls-Royce has been selected by Lockheed Martin as the in-service support provider for the engines on the CC-130J military transport aircraft flown by the Canadian Air Force. The base contract, valued at more than USD $70 million, will provide Lockheed Martin with logistics support for the AE 2100D3 engines for the next six years. The contract has a potential value exceeding USD $260 million over the life expectancy of the fleet. Under this contract, Rolls-Royce will be providing all engine management and repair, logistics support and on-site technical support for the engine. Rolls-Royce will partner with StandardAero of Winnipeg, Manitoba, to provide engine depot-level repair services to the Canadian Air Force. This partnership supports Lockheed Martin?s Industrial and Regional Benefits obligation to Canada, which resulted from the Tactical Airlift (CC-130J) contract awarded to Lockheed Martin in December 2007. Dan Korte, Rolls-Royce?s President-Defence said: ?Rolls-Royce is the world leader in engines for military transport aircraft, and we are proud to partner with Lockheed Martin to support the Canadian Forces CC-130J fleet. Together we will deliver a proven, innovative support solution to exceed the customer?s operational readiness requirements.? ?Rolls-Royce is the world leader in engines for military transport aircraft, and we are proud to partner with Lockheed Martin to support the Canadian Forces CC-130J fleet. Together we will deliver a proven, innovative support solution to exceed the customer?s operational readiness requirements.? The performance-based logistics contract, modeled after other successful MissionCare? contracts, provides a comprehensive propulsion support package customized to meet the needs of the Canadian Air Force?s CC-130J aircraft on a per engine flight hour basis. Rolls-Royce has been a long-term supplier to the Canadian Forces with propulsion systems powering several aircraft fleets for the Canadian Air Force, including the current T-56 powered C-130 fleet, the T-56 powered CP 140 Aurora P3 fleet, and the Adour powered Hawk Trainer fleet for the NATO Flight Training Center (NFTC) in Canada program. 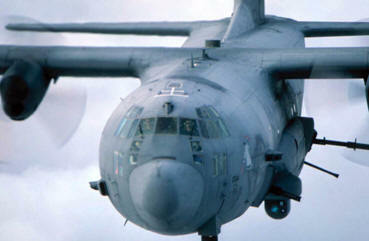 The new Canadian CC-130Js are powered by four Rolls-Royce AE 2100D3 advanced turboprop engines.